Editor, broadcaster and columnist Jodi Schwan recently published an article about Fiegen Construction's 50th Anniversary milestone at www.SiouxFalls.business, which we are proud to reprint here. Thanks to Jodi for recognizing our five decades of service to the Sioux Falls area. Jeff Fiegen’s father, Ron, was a premier ironworker. He traveled the country fabricating large bridges and towers before returning to South Dakota to start Fiegen Construction Co. 50 years ago. At 17, he was a certified welder working in Aberdeen and eventually transitioned to the office. The family talked openly about eventually transitioning the business, he said. The brothers were made vice presidents. But it was “more difficult for Dad to let go,” Jeff said, so Ron retained most ownership until he died eight years ago. “He retired from the daily business, but we reviewed monthly financials, we talked openly and talked strategy and business direction,” Jeff said. He and Rusty split duties but share ideas, equipment and team members, he said. A year ago, they began transitioning part of the business to Jeff’s son, Lucas, and their chief financial officer, Mark Stordahl. Lucas, an architect, has worked full time at the business since finishing graduate school at the University of Nebraska-Lincoln in 2012. He started while in high school, though, working in the field. Lucas also is helping evolve the business. 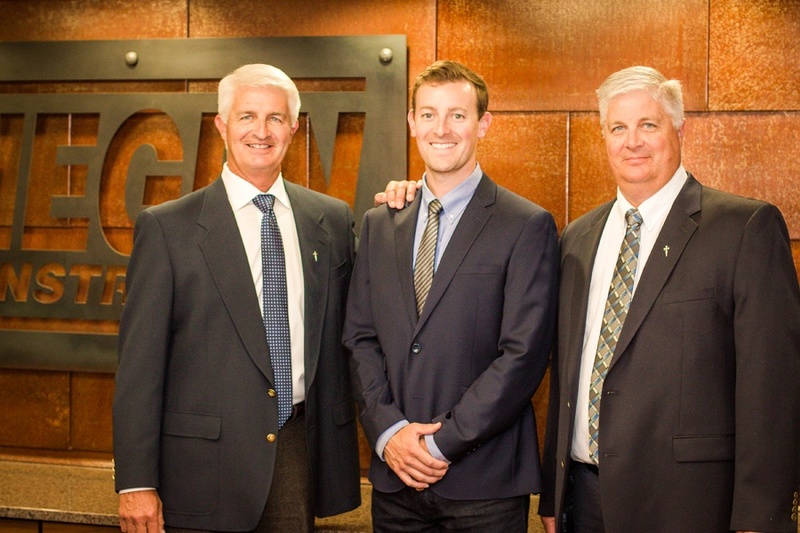 While his dad’s generation helped Fiegen get into design-build construction projects, he is tackling marketing and technology, and recently helped rebrand the company with a new logo and website for its 50th anniversary. “It’s little ways I can provide insight, but they’ve started to open up to it, too, which has been nice,” Lucas said. Sharing information and striking a balance is key in making the family business work, Jeff said. “You need to work plenty of hours, (and) communication is good, but sometimes you just need to step away and enjoy family,” he said. Providing information doesn’t just extend to the family, he added. About two-thirds of Fiegen’s workforce has been with the company more than a decade.